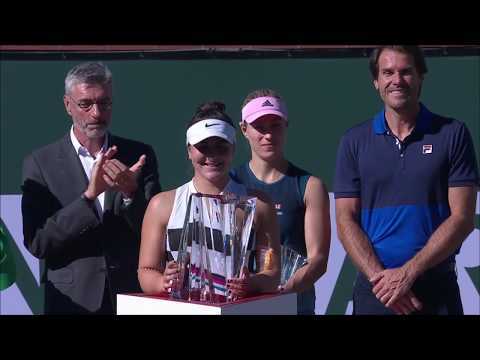 BNP Paribas Open champion Bianca Andreescu is in demand following her title win in Indian Wells last month. She’s been everywhere from BMO Field to deliver the game ball for Toronto FC’s clash with New York City FC to Scotiabank Arena to take in the Raptors’ win over Orlando Magic court-side. Q: #AskBianca What's the number one thing you want to accomplish in your tennis career? Q: #AskBianca Favourite song from A Star Is Born? Where did she go for her all-important celebratory meal? And what does she think about her fellow Canadians’ success? Q: #AskBianca what motivates you?